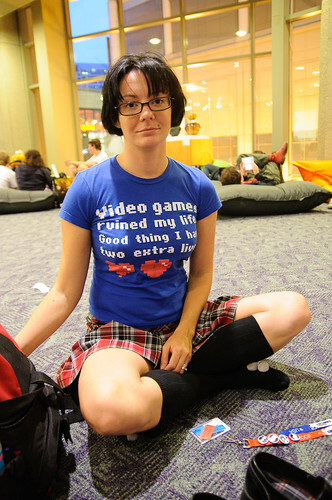 video games ruined my life by poopoorama [flickr] via our group pool [#]. In case you missed it, Seattle’s premier gaming expo was ground zero for an outbreak of swine flu (or what Wired is calling H1Nerd1). Penny Arcade, the organization that hosts the event, has a list of outgoing flights that had passengers with confirmed cases of the flu. In addition, the University of Washington just issued an e-mail that two probable cases of H1N1 have been reported to the campus health center, originating from a particular sorority house. The University will be monitoring the flu outbreaks on campus, but officials are encouraging students and staff to take necessary precautions. And since this flu is hitting everyone from gamers to sorority girls, be sure to wash your hands, stay home if you’re sick, and keep up to date with new info on the swine flu from King County.